Have you begun to question traditional best practices in business continuity (BC)? Do you seem to be concentrating on documentation rather than preparedness? Compliance rather than recoverability? Do your efforts provide true business value? If you have these concerns, David Lindstedt and Mark Armour offer a solution in Adaptive Business Continuity: A New Approach. This ground-breaking new book provides a streamlined, realistic methodology to dramatically change your BC. Adaptive Business Continuity can improve your organization’s recovery capabilities by ensuring continued delivery of services following an unexpected unavailability of people and/or resources. The chapters of this book proceed as an analogy, following the steps of rebuilding a house. Chapter 1: Demolition – The first step is to identify and remove of all the things that no longer properly belong in the kind of house you need – certain BC activities and products must be removed to provide the space we need to install something new. Chapter 2: Foundation – Provides a proper foundation for BC planning, an integrated theory of preparedness planning. Chapter 3: Framework – Outlines the individual steps, activities, and deliverables the practitioner creates in partnership with all levels of the organization. Chapter 4: Finishing – This narrative helps you envision what the Adaptive BC approach might look like in practice. In these fictional case studies, you will meet five practitioners as they implement Adaptive BC in their organizations. Chapter 5: Dwelling – Wraps up the book and offers a few thoughts on what the future of the BC industry might hold – including the promise of fun and innovation in your daily business continuity activities. As the authors take you through the steps of “building the house,” you will see how Adaptive BC differs from traditional continuity planning and share the vision to create your own Adaptive BC programs and make needed changes within the profession. Click Here to buy from Apple! 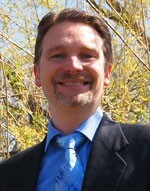 David Lindstedt has more than 15 years experience in project management, higher education, and business continuity. He has taught courses for Norwich University, The Ohio State University, and Tulane University. He is the founder of Readiness Analytics, a company that offers The Readiness Test™, Household Continuity assessment, and an Adaptive Business Continuity tool. Dr. Lindstedt also serves as the Director of Program Management with the Office of Distance Education and eLearning at The Ohio State University, inspiring innovative instruction through emerging technologies. This is the third PMO that Dr. Lindstedt has helped implement and mature. From 2005-2012, he directed Ohio State’s Enterprise Continuity Management Program, partnering with over 200 units to protect services such as centralized purchasing, childcare centers, information technology, steam generation, and even a hotel. David earned his Bachelor of Arts degree in philosophy, with minors in psychology and political science, from Valparaiso University and received his MA and PhD degrees in philosophy from Tulane University in New Orleans. He is a Certified Business Continuity Professional (CBCP) with DRI International and a Certified Project Management Professional (PMP) with Project Management International. David serves on the Editorial Board and is a frequent contributor to the Journal of Business Continuity & Emergency Planning. Dr. Lindstedt has published in international journals and presented at numerous international conferences. 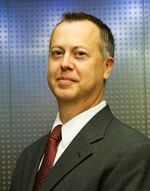 Mark Armour is currently the Director of Global Business Continuity for Brink’s Inc., a worldwide secure logistics provider, where he leads the company’s Business Continuity, Disaster Recovery and Crisis Management Programs. He has nearly 15 years of experience in the business continuity profession, much of that time spent leading programs and efforts for Fortune 500 companies. He has also managed the corporate response effort to dozens of events, including Hurricanes Katrina and Ike, Superstorm Sandy, wildfires in California and Canada, as well as numerous floods throughout the continental US. Mark is a Certified Business Continuity Professional (CBCP) through DRI International. He is also President of the North Texas Chapter of the Association of Contingency Planners and a member of BC Management’s International Benchmarking Advisory Board. Mark has been published in the Journal of Business Continuity & Emergency Planning and presented at numerous international conferences. We believe we are at a turning point in the preparedness planning industry, specifically within the field of business continuity (BC). Thought leaders have identified significant issues with many core practices of traditional continuity planning. Many practitioners have found new and innovative ways to implement BC, successful practices beyond existing guidelines that have not yet coalesced into a single approach. Organizations and executives are demanding more business value for their money, and return on investment (ROI) for BC and its practitioners is not always obvious. Large-scale changes within related disciplines, such as project management and process improvement, along with the rapid growth of new global business methods, demand a more flexible and responsive approach to BC than many current practices provide. A large part of this book explains this new framework in detail. Before we can begin to outline this new approach, however, we must look at some practices that are likely to get in the way if not addressed. Therefore, Chapter 1 rightly starts with a critical examination of BC today before later chapters explain the Adaptive BC approach. We have organized the chapters of this book, by way of analogy, with the steps of rebuilding a house. After deciding how you want your new house to look, the first step is to identify and remove of all the things that no longer properly belong in the kind of house you need. We have called Chapter 1 “Demolition,” not because we are getting rid of the entire BC enterprise, but because there are certain BC activities and products that must be removed to provide the space we need to install something new. We then proceed through the rebuilding stages, namely foundation, framework, and finishing. Finally, we end with a chapter on “Dwelling,” in which we consider what it might be like to live in this new home we have built. Chapter 1: Demolition – This chapter outlines the problems and shortcomings within traditional continuity planning. It explains why current practices in the business continuity discipline do not produce the results that practitioners, participants, and leaders want. These chapters clear out (“demolish”) a number of traditional practices that stand in the way of making needed improvements to the industry. Fixtures such as the business impact assessment (BIA), risk assessment (RA), and recovery time objectives (RTO) get us off on the wrong foot from the very beginning and need to be removed. Chapter 2: Foundation – This chapter provides a proper foundation for BC planning. To date, our profession has various collections of best and good practices; it does not have a reasoned theory upon which to build a discipline. This chapter provides, for the first time, an integrated theory of preparedness planning. This topic requires a more theoretical approach than other chapters in order to provide context for the planning activities that make up Adaptive BC. Chapter 3: Framework – This chapter introduces the specific approach for Adaptive BC. If you are looking for the practical nuts-and-bolts “how to” of the framework, this is the section for you. It outlines the individual steps, activities, and deliverables the practitioner creates in partnership with all levels of the organization. Chapter 4: Finishing – This chapter provides a narrative to help you envision what the Adaptive BC approach might look like in practice. It fleshes out the overall approach using specific examples in time and place. In these case studies, you will meet five fictitious practitioners as they implement the Adaptive BC approach in their organizations. Hopefully, these stories will inform and inspire you to take your next steps and get started right away within your own organization. Chapter 5: Dwelling – This chapter wraps up the book and offers a few thoughts on what the future of the BC industry might hold, including the promise of fun and innovation in your daily activities. We are very pleased to offer this book to practitioners, leaders, and academics alike. We fully expect the BC profession to evolve and we look forward to playing a role in its continued development. It is our sincere hope that the ideas contained within this book will empower you and your efforts to further protect our organizations and communities. Occasionally, someone comes along with a new way to analyze security—challenging conventional wisdom and accepted best practices. 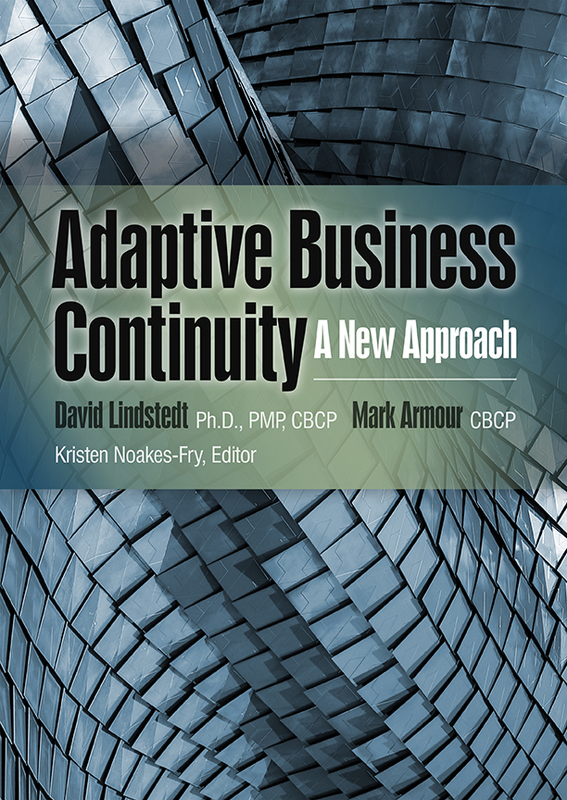 This is the case with Adaptive Business Continuity: A New Approach by David Lindsted and Mark Armour. The authors say that “…explicit executive support is not required.” Senior management, they write, will allow the planning process to unfold without their blessing, downplaying the importance of senior-level support in obtaining the resources to effectively prepare an organization to deal with crises. Other novel ideas include “exercise instead of test” and “eliminate standalone training.” The authors focus on being able to resume pre-event operations and neglect the impact of an event on organizational reputation, intellectual property, and other considerations. After years of working with the traditional practices of business continuity (BC) I was searching for a better, more adaptable way of doing Business Continuity. There had to be a more efficient way of doing this. Then I attended one of Mark Armour’s presentation at a conference. There was finally light at the end of the tunnel. The book by David Lindstedt and Mark Armour sums up the new approach, and provides the framework required to all levels of practitioners to move to a new, more agile and fun way of doing business continuity. Finally, some amazing and disruptive ideas to do effective Business Continuity. After decades of traditional BCM, we needed a change and honestly this book just opened my professional eyes, mind and soul! Thank you David and mark for reminding me my worst enemy is my confort zone! The next generation of BC practioner is officially born. Let’s kill the old school and no more BIA! Whether you are new to business continuity, or a seasoned profession, this book is an interesting read. It offers a common sense perspective to the profession and questions “why” we continue to practice old school methods in today’s agile environment. Why do we let the regulators dictate our plans instead of developing something that is meaningful to our business? Even if you don’t subscribe to every method in the book, I think you’ll find tricks that will be useful to you. A must read for anyone who is even remotely involved with business continuity. Fantastic stuff from what I’ve seen so far! I’d be happy to promote and share all of the great tools and resources provided on your website – thank you for all that you are doing in this area! Thank you to Mark Armour, David Lindstedt and everyone involved for being innovators in the industry.